What if it’s not really a game? The pulse-pounding sequel to the controversial #1 Amazon bestselling cyberthriller THE IRON VEIL. Justin Boone barely survived the beta of OmniWorld, an immersive virtual reality game with ties to a secret government project. But when he returns to the real world, Justin quickly finds himself in league with a shadowy resistance group who sends him back into OmniWorld to rescue a woman he’s never even met. 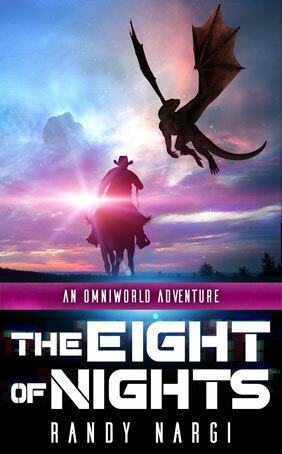 Soon he’s fighting for his life in a brutal Weird West—facing savage zombies, Hollow Riders, and a nightmarish necromancer intent on summoning an ancient malevolent entity that could destroy the world. As Justin battles across the bleak Western landscape, he realizes that there’s a lot more at stake than just his life. If he can survive, he may discover the true nature of OmniWorld. But if he fails, his reality will unravel and his dreams will become nightmares…permanently.